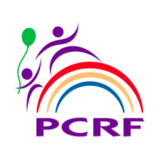 Since its establishment in 1982 as a grass-roots organization, the Pediatric Cancer Research Foundation (PCRF) has focused its efforts to improve the care, quality of life and survival rate of children with malignant diseases. The founders, comprised of parents, physicians and community leaders, joined forces to support laboratory research that would translate into immediate treatment for children with cancer. We exist solely to raise money for research. In 2015, PCRF supported 11 researchers with $1.5 million in grants. PCRF can accelerate the advancement of pediatric cancer research by reaching our next goal of a $5 million funding pool. PCRF has raised over $36 million which has provided 135 annual grants, supporting 34 principal investigators, representing 24 leading institutions across the country. The Pediatric Cancer Research Foundation is an independent, 501(c)(3) non-profit corporation. We are privately supported through generous donations from individuals, charitable foundations and businesses. Of every dollar raised, 80% goes directly to research that impacts countless young lives. If you would like to learn more about some of the lives changed through PCRF, please read some of our stories.